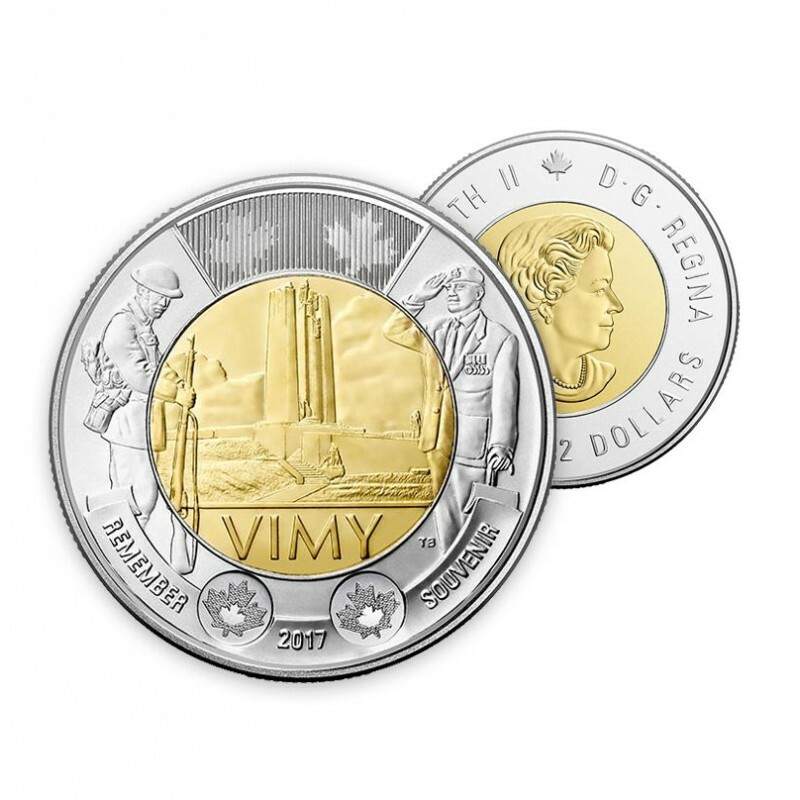 In the spring of 1917, the Allies launched a new offensive on the Western Front, where all four divisions of the Canadian Corps were ordered to capture the heavily fortified Vimy Ridge. For the first time ever, regiments from all across Canada fought side-by-side to secure victory using an innovative tactic known as a creeping barrage. 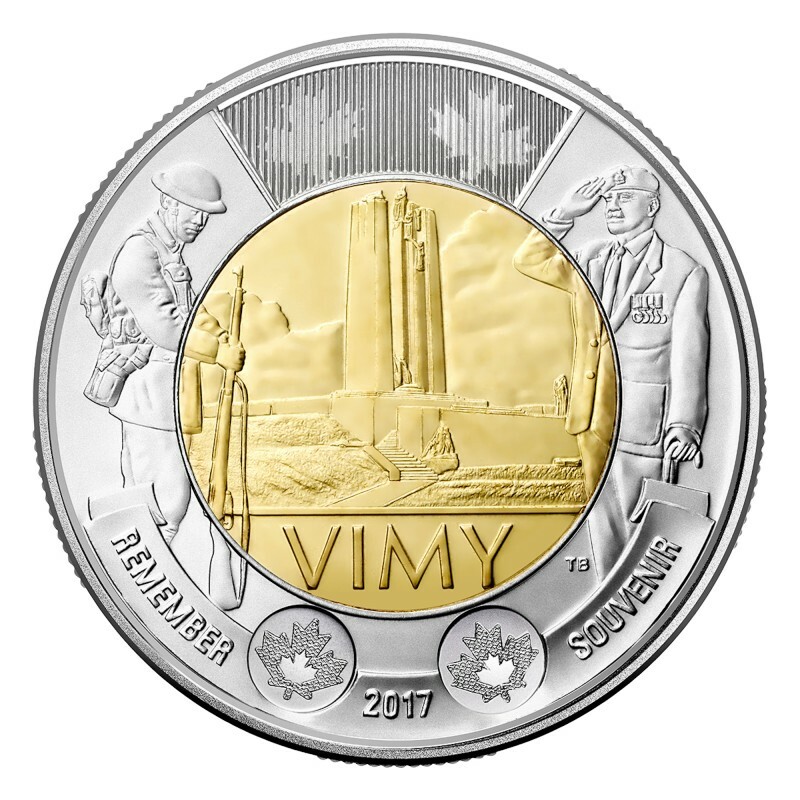 Designed by Canadian artist Tony Bianco, the coin features the Canadian National Vimy Memorial in Vimy, France, flanked by a First World War soldier on the left and a veteran soldier on the right. 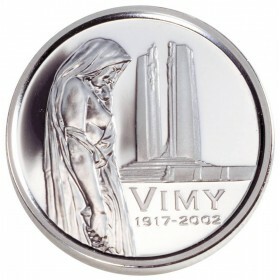 In April 1917, the Canadian Corps stormed the German-held fortress of France's seven-kilometer-long Vimy Ridge. 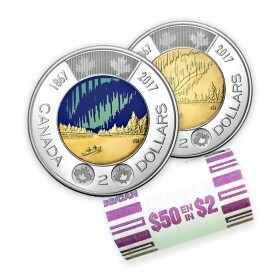 After four hard fought days, soldiers from across Canada seized the ridge. The Battle of Vimy Ridge stand as one of the most significant events in Canadian military history, and is an enduring symbol of Canada's contributions during the First World War. 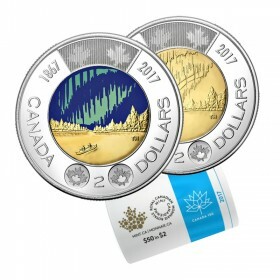 Royal Canadian Mint issued two dollar (toonie) coin for circulation in 2017. 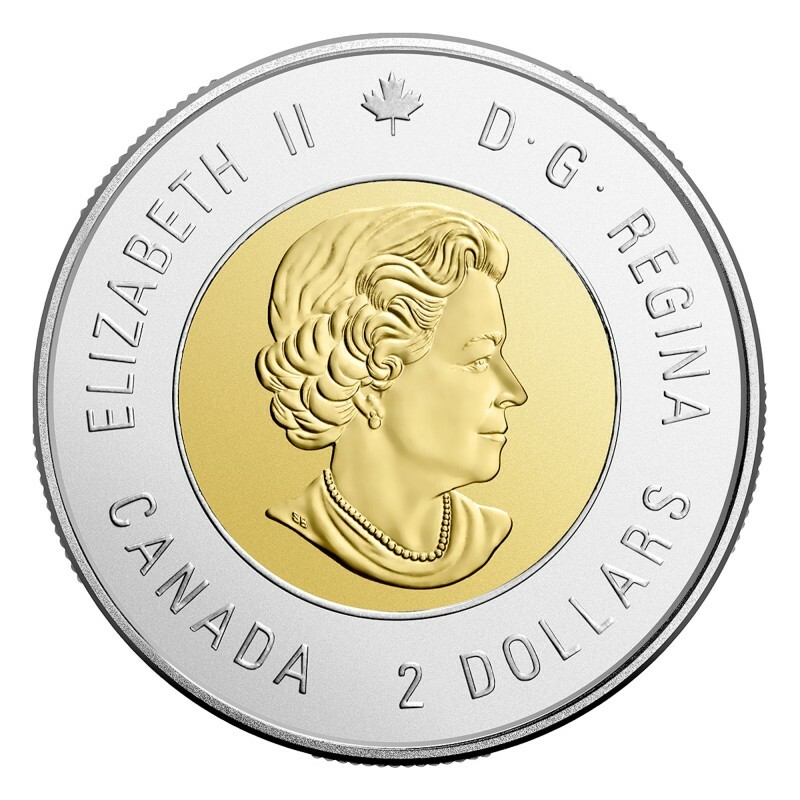 Item comes in standard 2" x 2" coin holder in brilliant uncirculated (BU) condition.